It seems that everyone has a magic pill these days. Every one promises phenomenal results and miraculous weight loss. I don’t believe in magic. I believe in clean and safe supplementation, hard work, and proper diet. Over the years, I have tried multiple lines of supplements and none have had the results comparable to Advocare. Just the 24 Day Challenge alone can jump start your metabolism and provide you with levels of energy you have never felt before. Most every morning starts with a spark. Honestly, I don’t know what I would do without it! There is no crush, no jitters, it tastes great, and best of all there is no “coffee breath”! 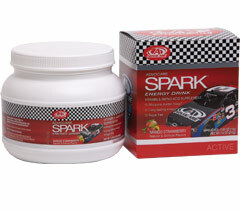 Advocare Spark Energy Drink is a unique multi-nutrient system that was developed as a nutritional source of energy and enhanced mental focus. It’s a sugar-free drink mix that has more than 20 vitamins, minerals and nutrients that work synergistically to provide a healthy, balanced and effective source of energy that won’t overburden or over stimulate your body like other energy drinks on the market. This amazing product serves as an all-in-one solution that gives you a quick boost of energy that lasts for hours. With seven refreshing flavors (Mango Strawberry, Pink Lemonade, Grape, Mandarin Orange, Fruit Punch, Cherry and Citrus), you’re sure to find one that’s perfect for you. What is the best part? Only 45 calories in each serving! Long run? Incredible workout? Hot outside? 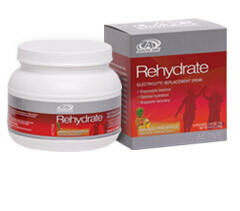 My answer to replenishing the lost electrolytes in my body is Rehydrate. There are circumstances in every athletes training when water just wouldn’t do. I love Omegas! They reduce inflammation, speed up recovery, help digestive process, and so much more. This is about as close as one can get to a do-it-all supplement. A little bit of soreness never hurt anyone, but I have had days in my training when I could barely move. This product is a life saver. I take a few pills (based on weight) in the evening before I go to bed, it helps my muscles heal faster, helps me sleep better, and shortens recovery time. Who wouldn’t want to get back to their workouts faster? Post-Workout Recovery Sports Drink is a great source of more than 30 vitamins, minerals and other nutrients that support your muscle’s metabolic processes in recovery, and aids in lessening occasional soreness after workouts. Post-Workout Recovery is the best solution for fighting the aches and pains of working out. These easy-to-make shakes (available in chocolate and vanilla flavors) combine the muscle-supporting nutrition that has been used by hundreds of professional and world-class athletes across the United States. Post-Workout Recovery helps enhance physical performance and endurance while also supplying essential components for muscle repair and gain during and after physical activity. The unique blend of high-quality protein, combined with glucose polymers and other carbohydrates, gives the body energy and structural support. 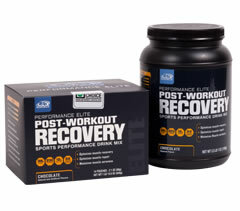 Post-Workout Recovery also contains branched-chain amino acids to support muscle recovery, growth and endurance. Finally, the antioxidants present in this advanced sports drink help the body ward off free radicals that are commonly produced as a result of exercise. Don’t let soreness stop you. Let Post-Workout Recovery help you receive the greatest benefit possible from exercise and workouts. This is a great multivitamin. It also has green tea extract in it which will help boost your metabolism and supply you with a little extra energy during the day. I have compared multiple other vitamin brands to this one and so far I have not found anything that is comparable to this one.